"A wonderful change of pace for the holiday season. Moist and spicy cake balanced by creamy, soft frosting." These were great! Used 2c powdered sugar with 8oz soft cream cheese and 1tsp vanilla for the frosting. These were excellent! The texture is wonderful. 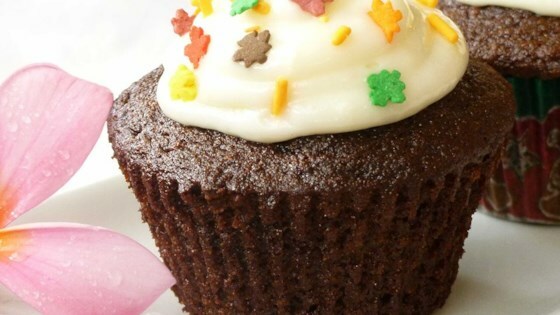 I've made cupcakes with this recipe and also a 9X13 cake...both turned out great. This was big hit at potluck! Great recipe!!! I used tablespoons of ginger instead of teaspoons though. Awesome!! !